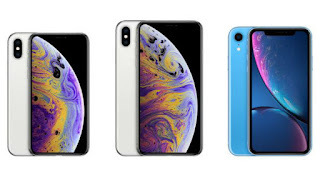 Apple recently unveiled its 2018 iPhones which are the iPhone XS, the iPhone XS Max and the much cheaper iPhone XR. All the specs and features of the new iPhones were all announced at the event but one important spec was left out and that is the battery capacity. For reasons best known to Apple, the company decided not to say anything about the actual battery capacity of the three new iPhones and no information on that was also posted on the company's official website. The three new iPhones which are the XS, XS Max and the XR just passed certification in China and one of the mandatory requirements is that the actual battery capacity of the devices must be disclosed. So for all those curious minds, below are the actual battery capacity of the iPhone XS, XS Max and Xr. The iPhone XS Max which has the biggest screen of the three phones and also has the largest battery capacity of 3,174mAh. This makes it the biggest battery of any iPhone ever. The iPhone XS on the other hand has a 2,658mAh battery capacity which is a bit smaller than that of it's predecessor the iPhone X( 2,716mAh). But even with the smaller battery size, Apple claims it still has a longer battery life. The iPhone XR might have a smaller battery capacity compared to the XS Max but Apple claims it has the longest battery life of the three phones, probably due to its smaller display and IPS display used as compared to the larger display and Amoled screen on the XS Max. So there you are it guy, those are the real battery capacity of all three 2018 iPhones.